Tokyo/Paris: The wife of former Nissan boss Carlos Ghosn has left Japan and flown to Paris to appeal to the French government to do more to help him. Japanese prosecutors arrested Ghosn for a fourth time on Thursday on suspicion he had tried to enrich himself at the automaker’s expense, in another dramatic twist that his lawyers said was an attempt to muzzle him. “I think the French government should do more for him. I don’t think he’s had enough support and he’s calling for assistance. 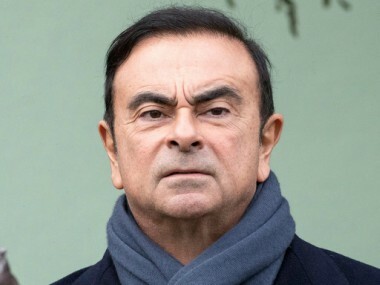 As a French citizen, it should be a right,” Carole Ghosn told the Financial Times in an interview before boarding a flight out of Japan late on Friday. Carlos Ghosn, who holds French, Lebanese and Brazilian citizenship, has denied charges against him and also called on the French government for help. 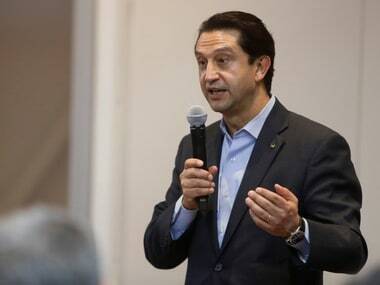 France, which holds a 15 percent stake in Nissan’s alliance partner Renault, said it was monitoring the situation. “We fully exercise consular protection. The French ambassador is in regular contact,” an official from French President Emmanuel Macron’s office said on Sunday. 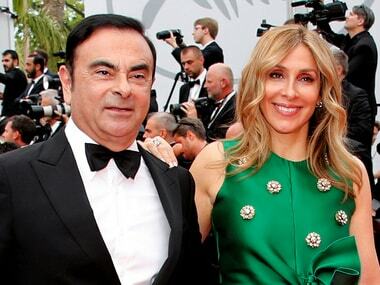 “The wife of Carlos Ghosn has been received by the (Elysee) Secretary General during his (Ghosn) previous incarceration,” the official added. Carole Ghosn said her husband’s previous 108-day imprisonment had left him 'a different person' and that normal life under bail conditions had been impossible. Tokyo prosecutors, Ghosn’s lawyer and his spokesperson were not immediately available for comment. Public broadcaster NHK said on Sunday that prosecutors suspected Ghosn siphoned off payments through a company where his wife is an executive to purchase a yacht and a boat. The prosecutors asked her to meet them for voluntary questioning as an unsworn witness, but the request was turned down, which prompted them to ask judges to question her on their behalf, the broadcaster said. Such a request gives judges the power to question on a mandatory basis witnesses who refuse to testify, according to NHK. Ghosn’s lead lawyer, Junichiro Hironaka, said on Thursday prosecutors confiscated Ghosn’s mobile phone, documents, notebooks and diaries, along with his wife’s passport and mobile phone. The FT said prosecutors had confiscated his wife’s Lebanese passport in a dawn raid on their apartment in central Tokyo on Thursday morning, but did not discover her US passport. “I’m all alone here. It’s traumatising what happened,” she was quoted as saying while awaiting her flight. Under Japanese law, prosecutors will be able to hold Ghosn for up to 22 days without charging him. The fresh arrest opens up the possibility that he will be interrogated again without his lawyer present, as is the norm in Japan. The additional charge would likely prolong Ghosn’s trial, which is expected to begin later this year, his lawyer has said, adding that loss of access to Ghosn’s trial-related documents could put his client at a disadvantage in fighting his case. Ghosn faces charges of financial misconduct and aggravated breach of trust over allegedly failing to report around $82 million in salary and temporarily transferring personal financial losses on to Nissan’s books during the financial crisis. Released on $9 million bail on 6 March, the executive says he is the victim of a boardroom coup. The scandal has rocked the global auto industry and shone a harsh light on Japan’s judicial system.